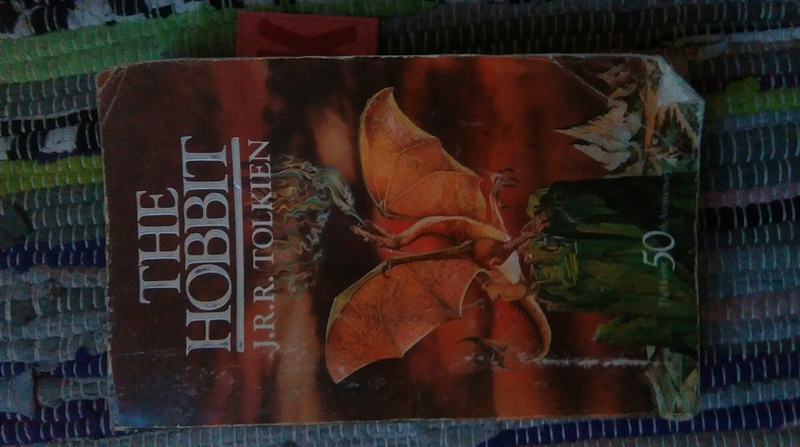 I have been reading The Hobbit to my seven-year-old son. He is loving it as his bed time story and I am enjoying re-reading the childhood classic I loved. It was one of the early books I selected for myself and I whizzed through it when I was 11. But during the bedtime re-read I have noticed something – and it is a bug bear I have with other books – the pacing. So, the first 10 chapters cover about 200 pages, with some chapters pretty heavy going (just before the woods, the slog through those woods, the bit with the elves) but the last 9 chapters cover about 100 pages and quite quickly zip along. Short and to the point, the plot moves much faster than in earlier chapters. Sometimes I feel like I am reading a completely different book. Now Tolkien has form for poor pacing in my opinion, when I was reading The Two Towers at 12 years old, I was aware of the weary trek of Frodo and Sam which went on and on and on . I nearly gave up on that book , abandoning the two of them to those marshes. Much later I would laugh heartily at Clerks 2 with the comment on the film adaptations: “even the trees walked in those movies”. But, back to my point. It feels like two different books, kind of jammed together. The long saga of The Unexpected Journey and the fast pace of the adventures at the Lonely Mountain. How did this happen? A fast approaching deadline, perhaps? A change of editors halfway through the job. Don’t get me wrong. I loved the book when I first read it and I am enjoying the re-read with my son. If not for this book, many of the books I have enjoyed would never have happened. And Tolkien is not alone in having pacing issues. I often find myself frustrated at books, films and tv series for this exact reason. I may blog about another more modern example at some point, but for now, feel free to tell me if you agree or disagree with my view of this legendary and much loved book.